Our range of products include single girder eot crane. 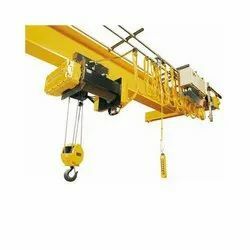 We offer an outstanding range of Single Double Girder EOT Crane which are widely used for safe and heavy material load shifting especially in factories, workshops and warehouses. These provide easy access in all the directions including cross travel, vertical movements and long travel. Our machines ensure optimal performance even in adverse conditions. Looking for Single Girder EOT Crane ?